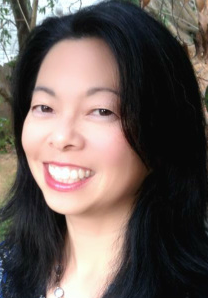 BRISBANE — Karen Akiko Lentz is one of four candidates for three seats on the Brisbane Elementary School District Board in the Nov. 4 election. Also running are incumbent Leonel Tingin, vice president of the board; parent Roxana Hui; and real estate agent Joel Diaz. Board President Tom Ledda, who has endorsed Lentz, is running for Daly City Council. Lentz said in a statement, “What I enjoy most is helping to improve our community. I am the vice chair of the Brisbane Parks and Recreation Commission, where I have focused on youth services. I have worked with subcommittee members, Brisbane city staff and council to get the skate park renovation project under way. “With our Lipman [Middle School] principal, council and city staff, and subcommittee, I have made certain that we have after-school activity options for our young teens. Currently I am working on the revival of the Youth Advisory Council, bringing leadership opportunities to middle school and high school students in our district. “For over 10 years, I have served on the board, and was recently president of the Brisbane Dance Workshop. With BDW, I have worked to produce fundraisers, handle communication, engage in strategic planning, design a new website, help with the day-to-day running of our arts organization. “My husband and I own a promotional products company [Silverspot Graphics]. I manage the finances of the company, do graphic design, and handle marketing. “Previously, I worked at Levi Strauss & Co, where I managed the overseas production of Levi’s T-shirts and woven shirts. I was the president of the AIDS Action Group. Lentz is the parent of an eighth-grade student at Lipman. Endorsers include Brisbane Mayor Clarke Conway; Brisbane Councilmembers Lori Liu; and Cliff Lentz; BESD Board member KenWalker; former BESD Board member Camimlle Salmon; Lipman Site Council member Rich Cutler; Daly City Councilmember Mike Guinona; South San Francisco Mayor Karyl Matsumoto; South San Francisco Councilmembers Liza Normandy, Rich Garbarino and Pradeep Gupta; former Assemblymember Fiona Ma, a candidate for Board of Equalization; Rosie Tejada, Jefferson Union High School trustee.